If you're not familiar with tahini, it's is a paste made from ground sesame seeds. It's rather runny, like a thin natural creamy peanut butter. It's an essential ingredient in hummus and keeps forever in the fridge. 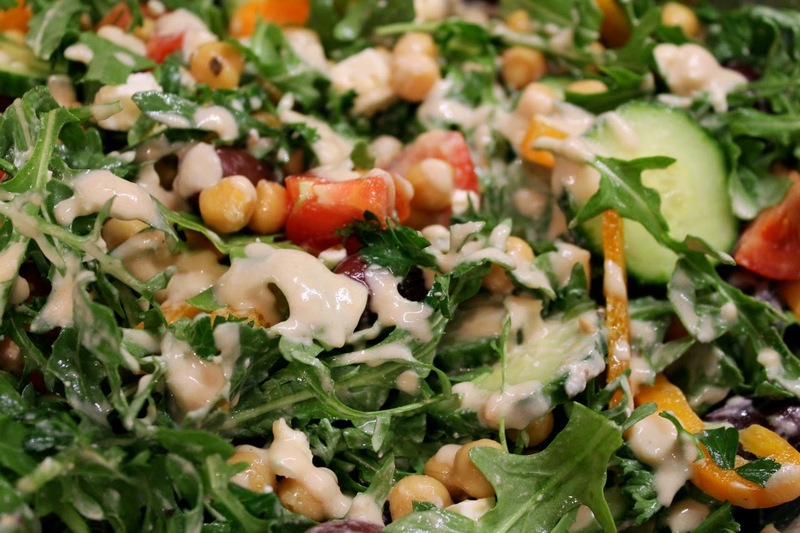 Tahini is also good in salad dressings. When mixed with lemon juice, it transforms from a thin, oily mixture to a thick, creamy one. I'm not sure exactly how that works chemically, but it's a pretty cool transformation. 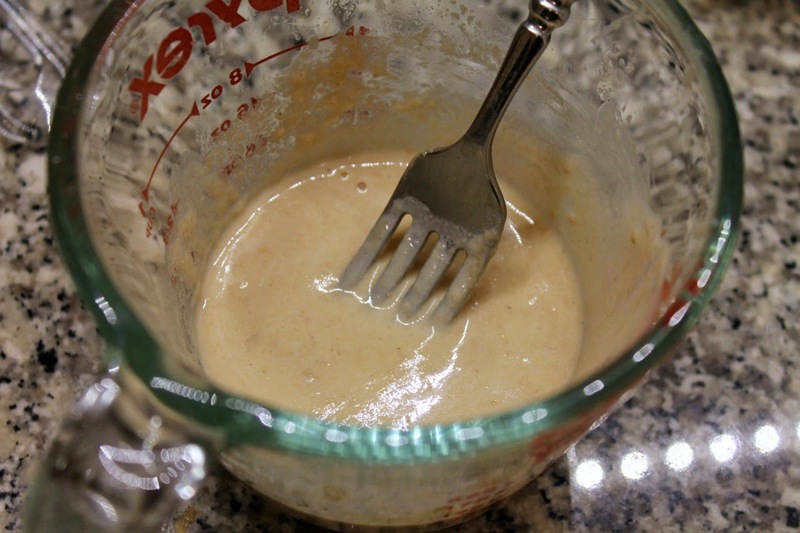 Combine dressing ingredients in a small bowl and whisk together. Pour over salad and toss to combine. 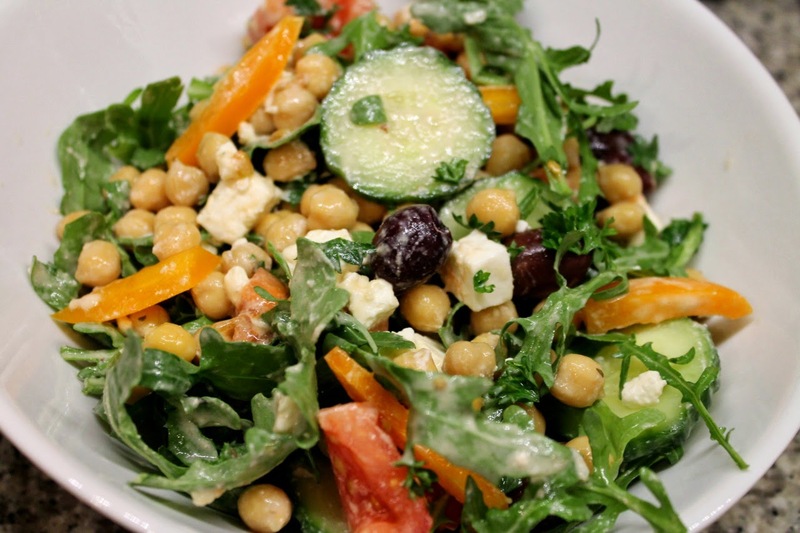 Combine arugula, chickpeas, cucumber, belle pepper, tomato, olives, feta and parsley in a large salad bowl. Add the dressing and toss to combine. Oh, wait. Maybe lemon-tahini dressing is my favorite dressing. I absolutely LOVE this salad too.